Such a beautiful dress! 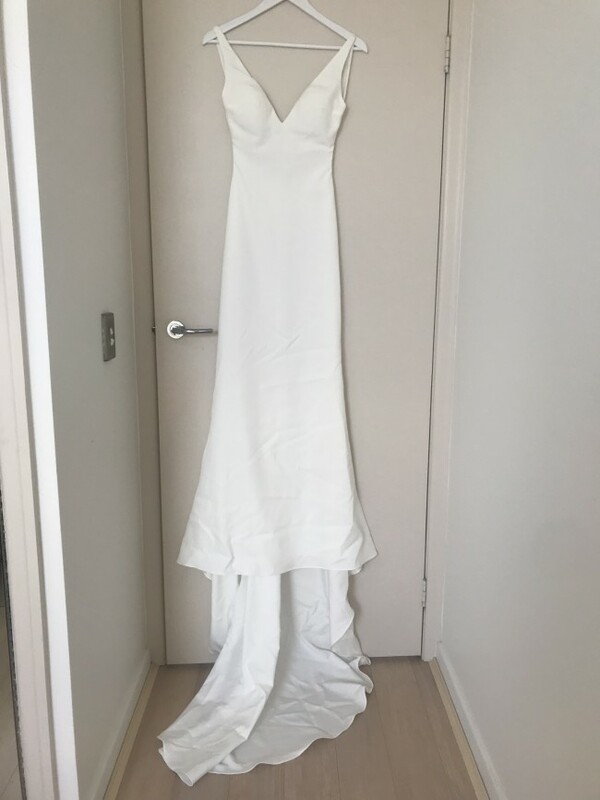 Purchased from the Bluebell Bridal store in Melbourne for $3,000. It’s brand new (never been worn) and comes with the garment bag and receipt, and all the buttons are in tact. Georgie is not for the faint of heart. She is for the bride who wants to be seen and celebrated for all the curves and highlights of the body natural design. Would you dare to bare your heart and soul forever, in the vows of tomorrow? Georgie is made from french crepe OR luxurious lace, the choice is yours! There is no extra cost, you will either love the simple french crepe or the boho lace! Her low back, invisible zip with buttons, V front back and perfect model fit, will make you feeling like an absolute goddess.